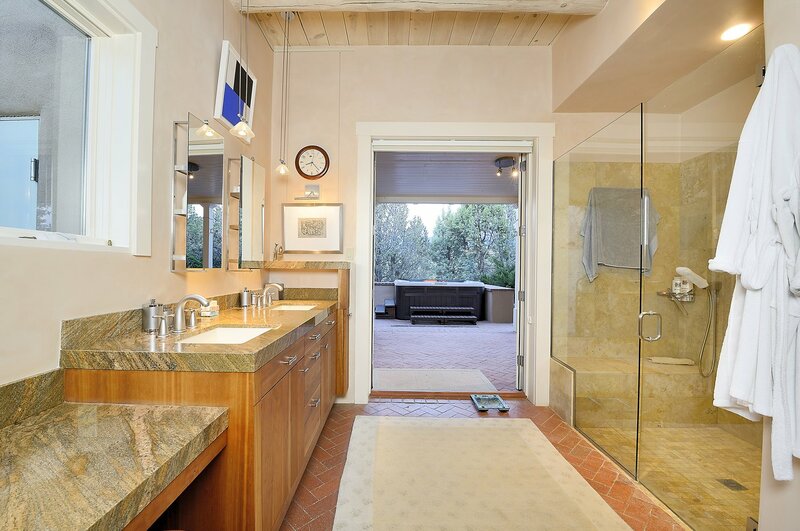 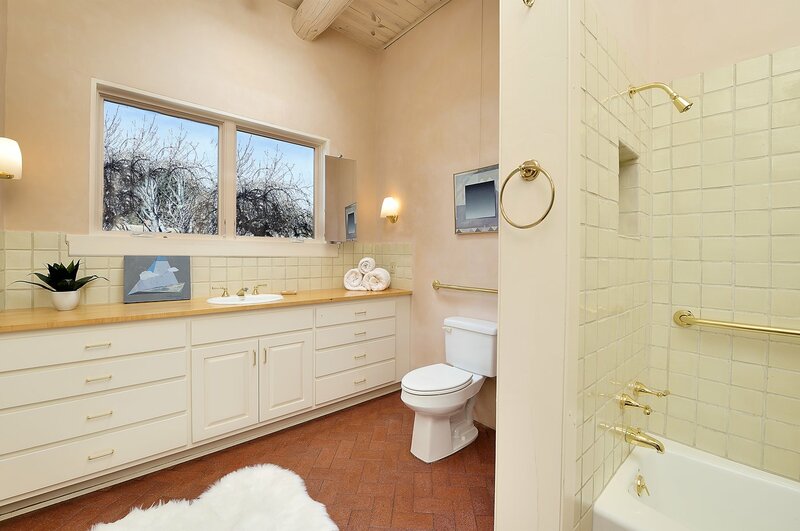 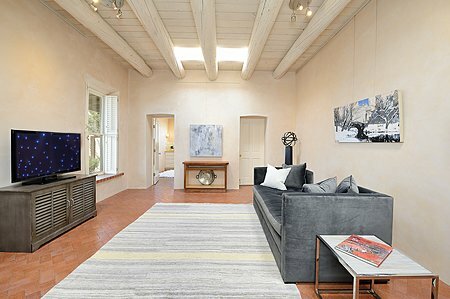 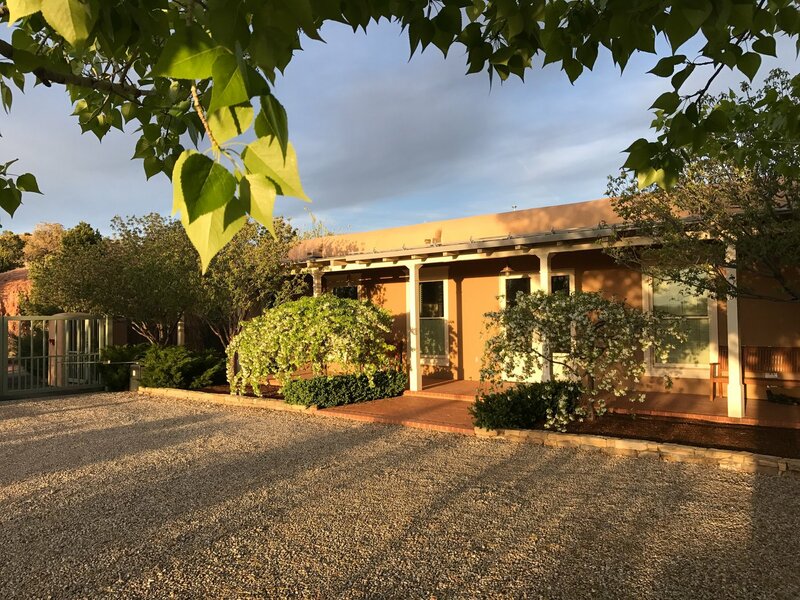 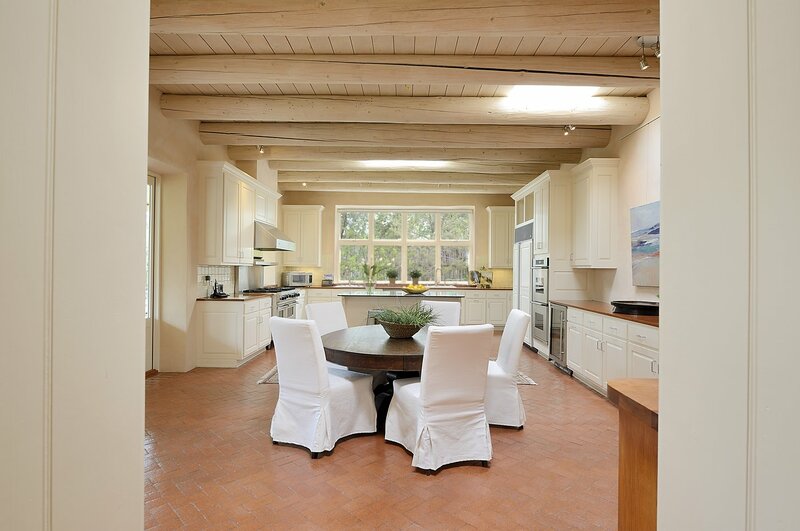 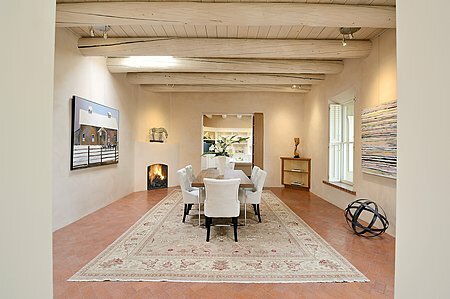 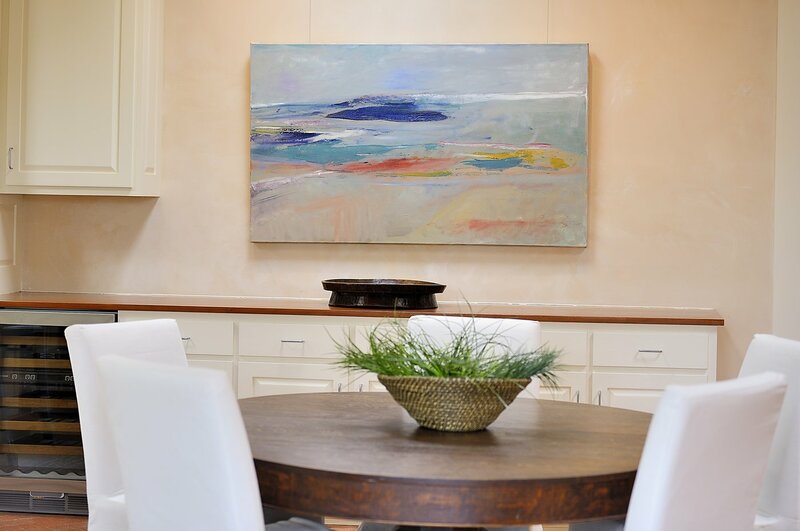 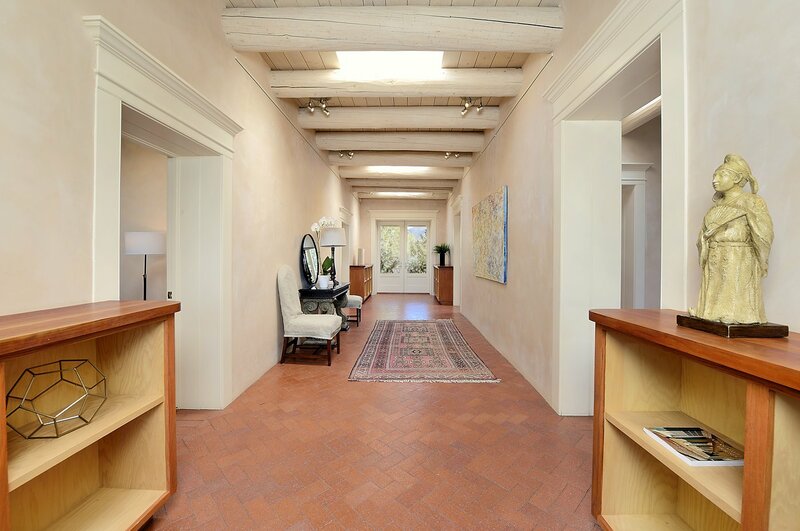 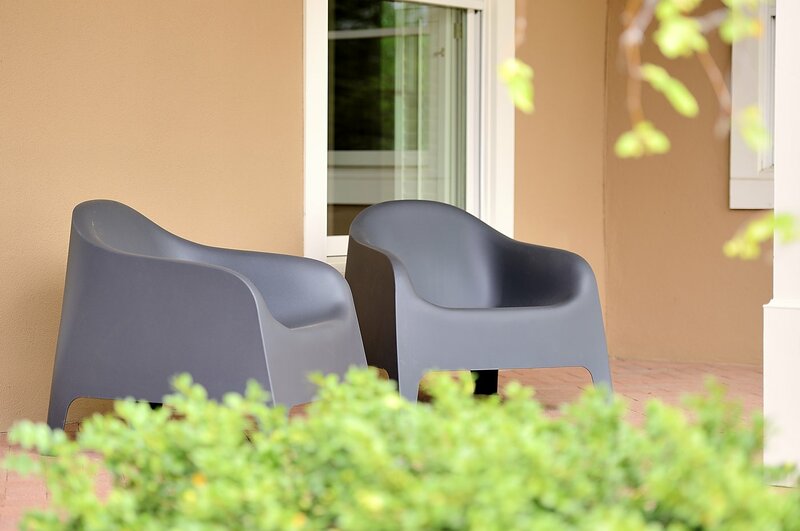 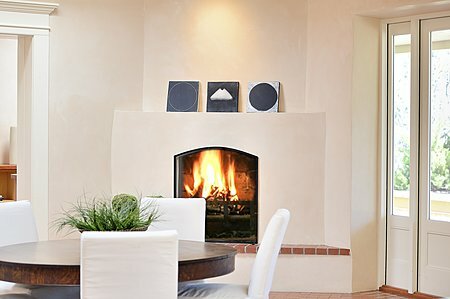 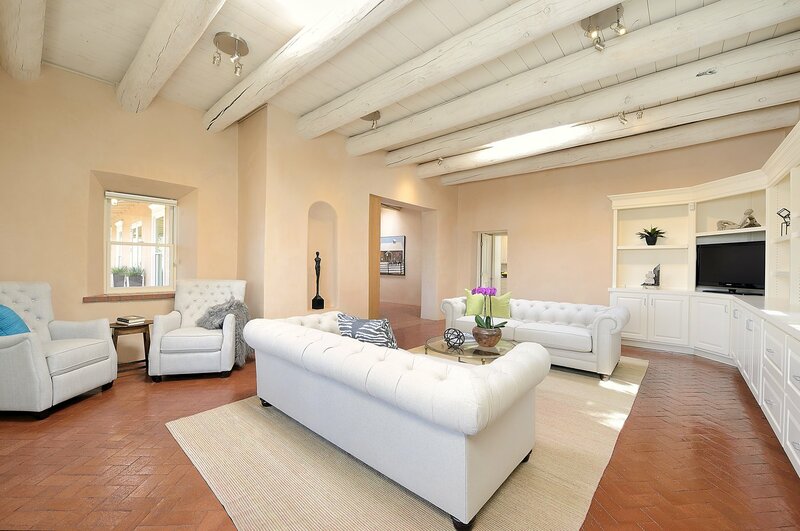 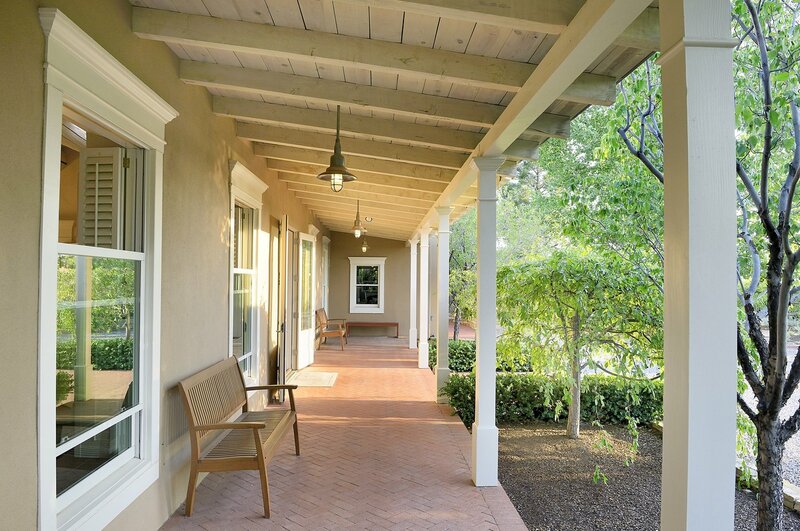 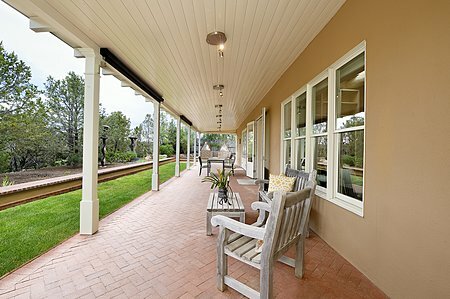 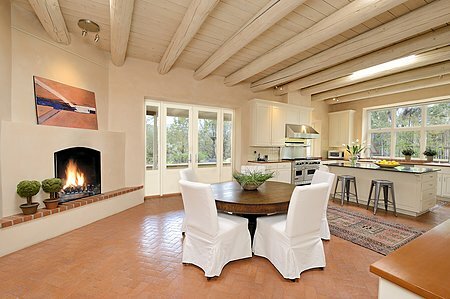 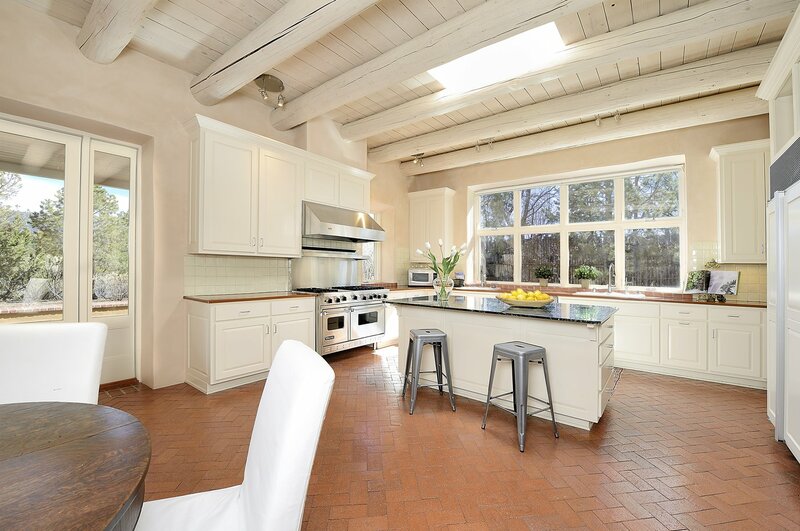 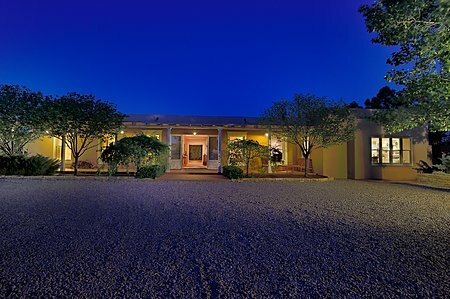 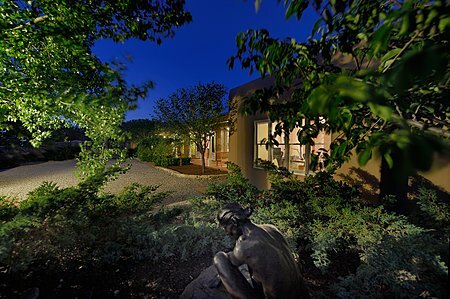 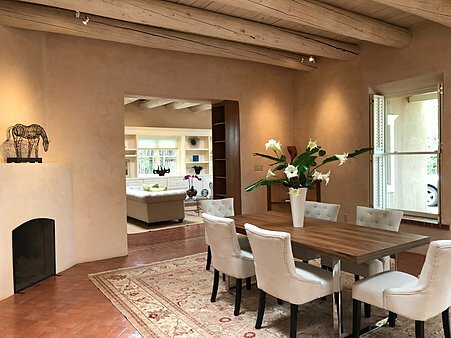 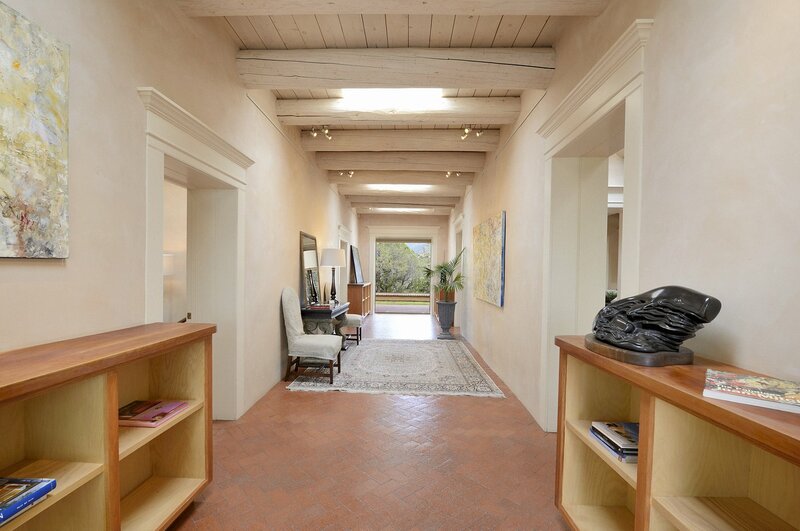 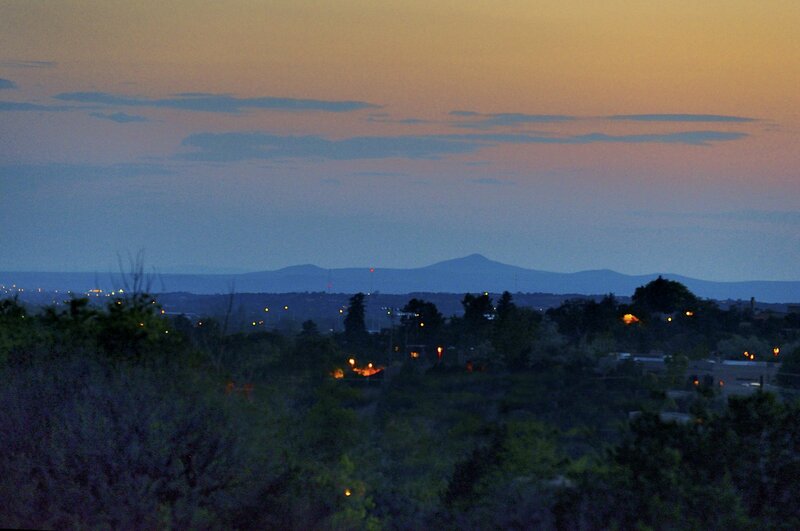 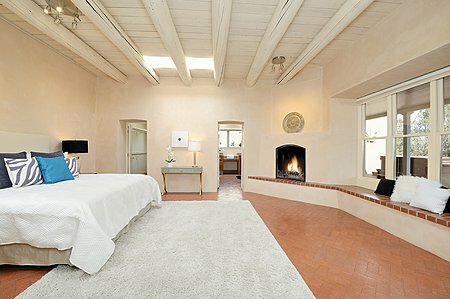 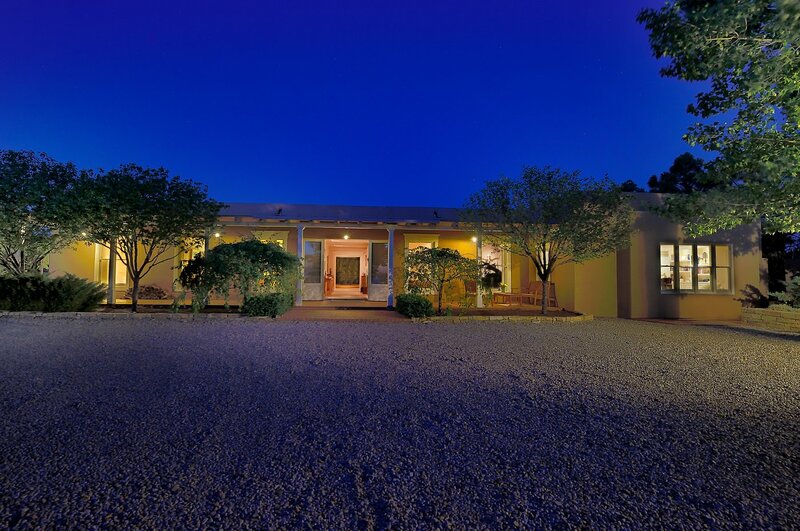 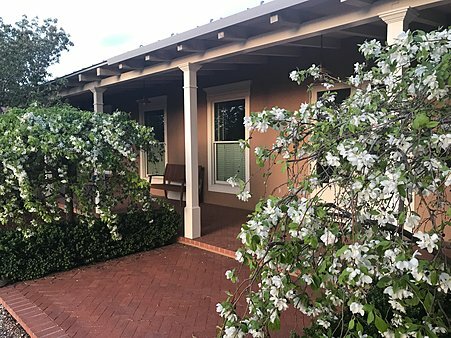 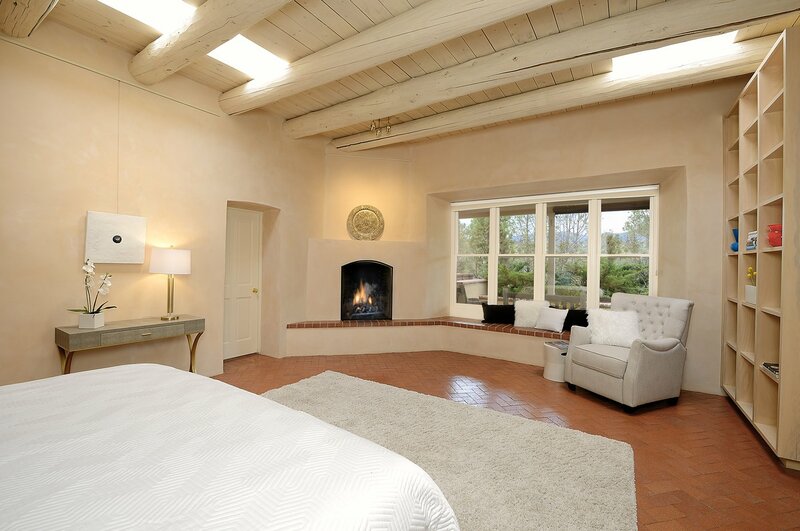 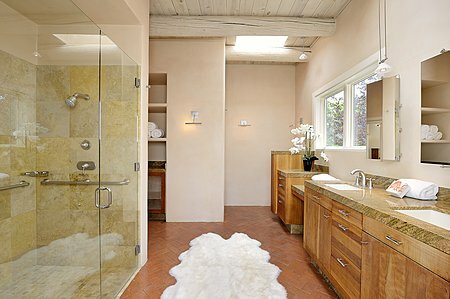 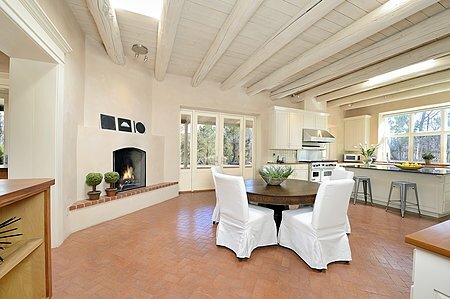 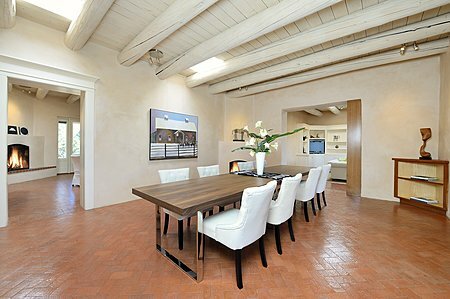 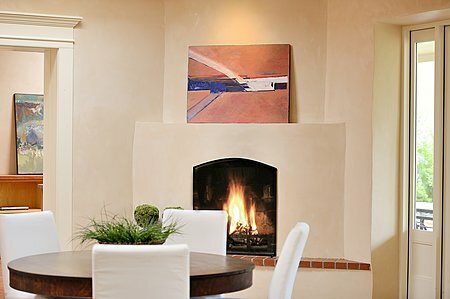 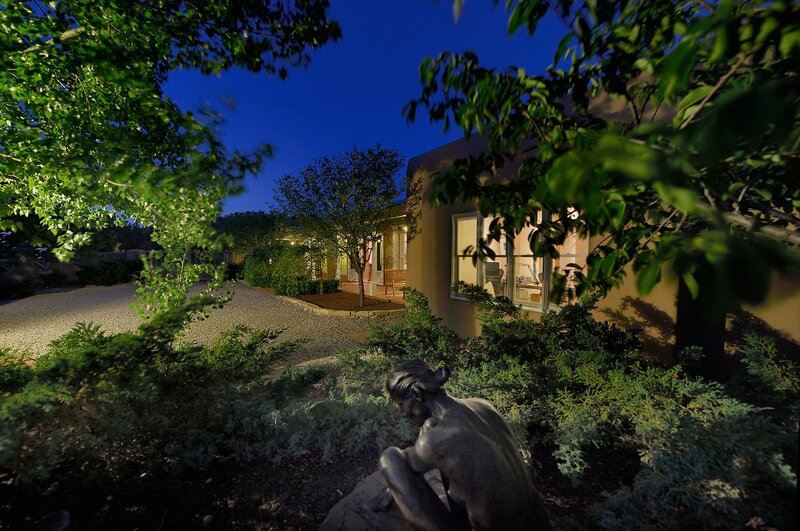 This private and conveniently located adobe home is perfect for collectors. 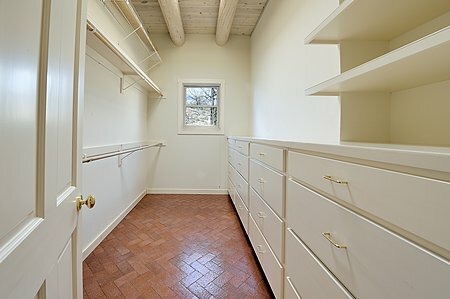 It has great wall space and lots of built in display shelves. 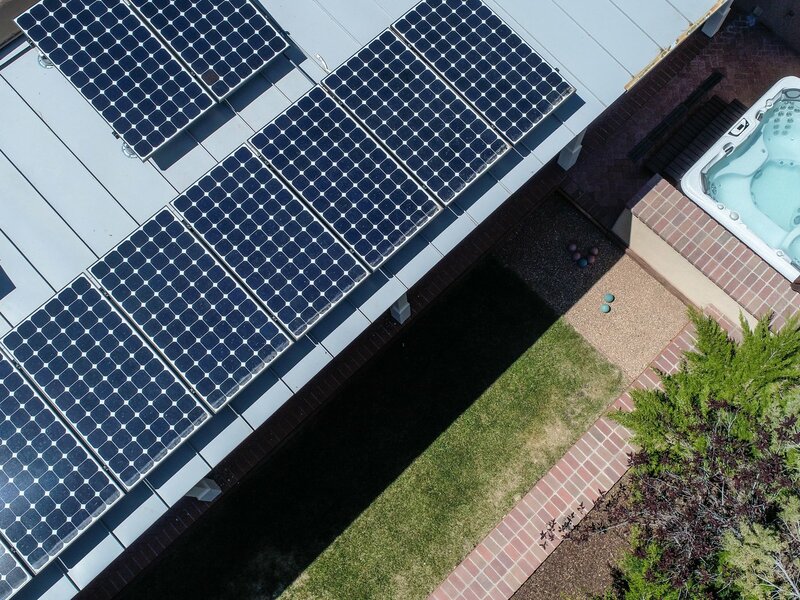 It has been enlarged and significantly updated with the addition of a complete photovoltaic electric power supply, solar hot water and other up to date energy saving features. 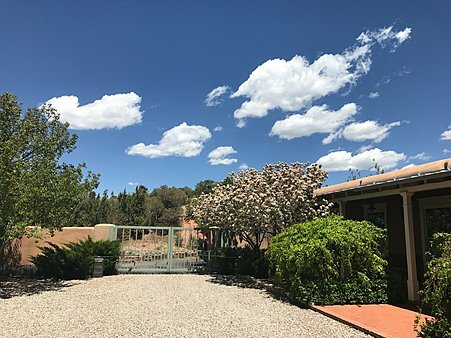 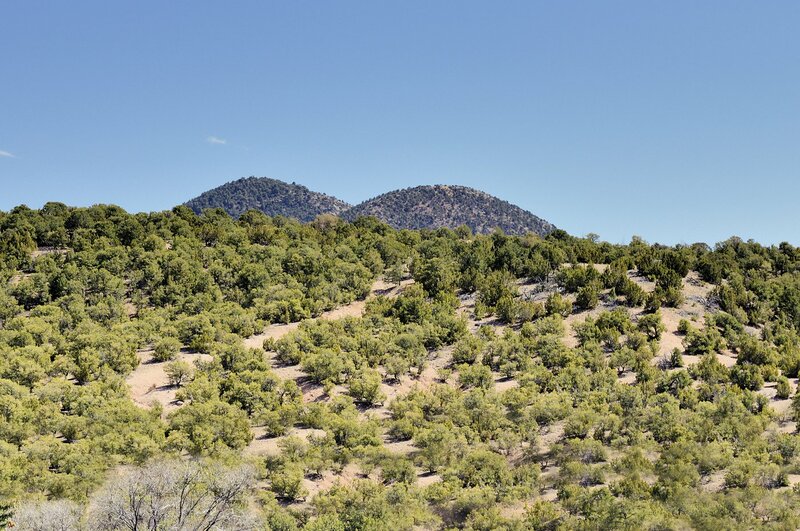 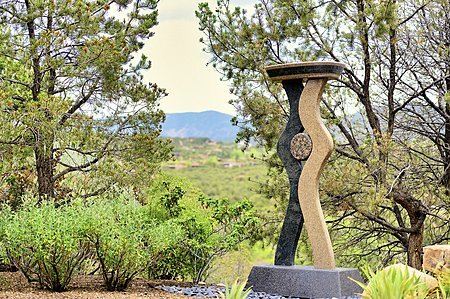 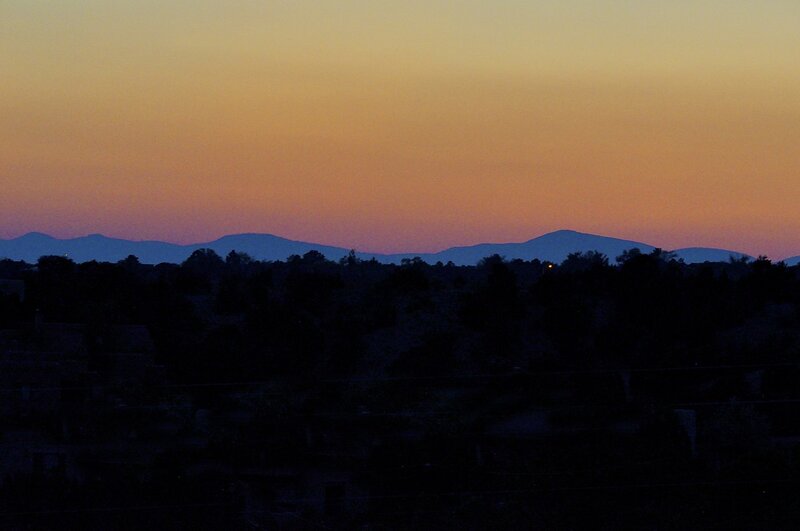 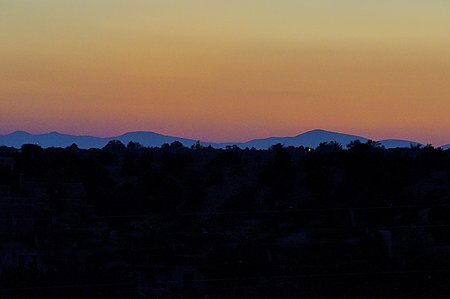 Located less than a mile north of the Plaza the site affords beautiful mountain views to the West and the East and is very well landscaped. The house features a wide and gracious hallway that leads all the way through to the back portal. 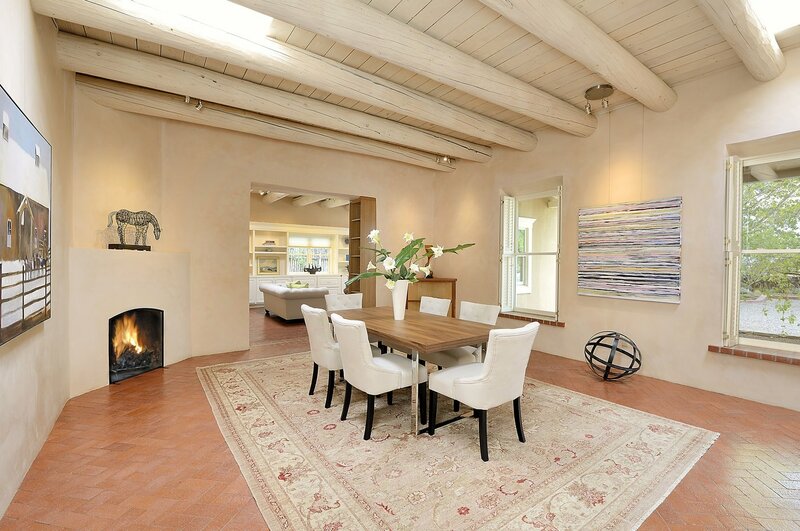 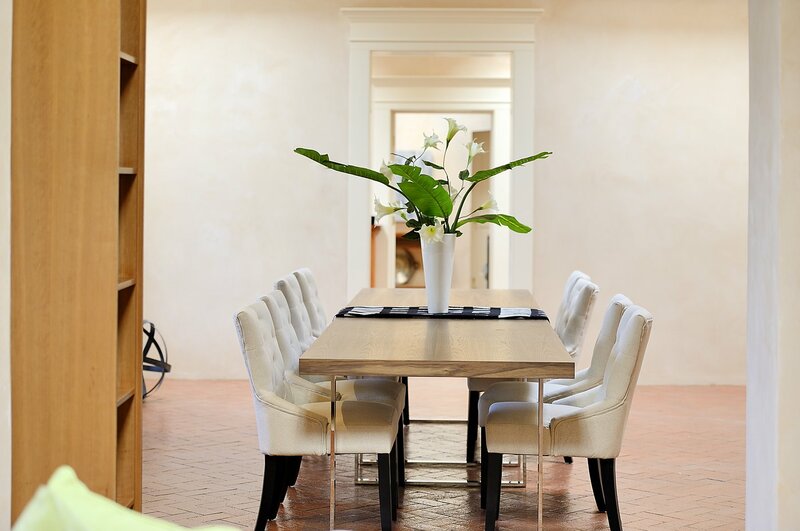 The elegant living room, study and large kitchen/dining room are located on the south side of the house. 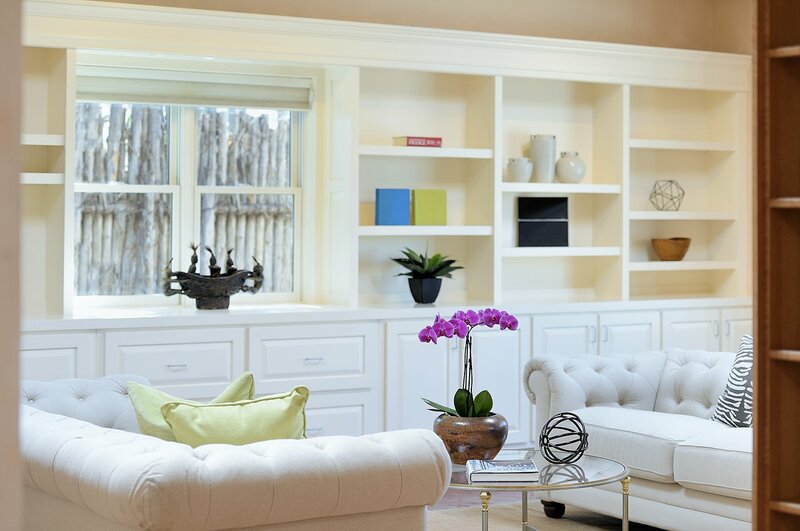 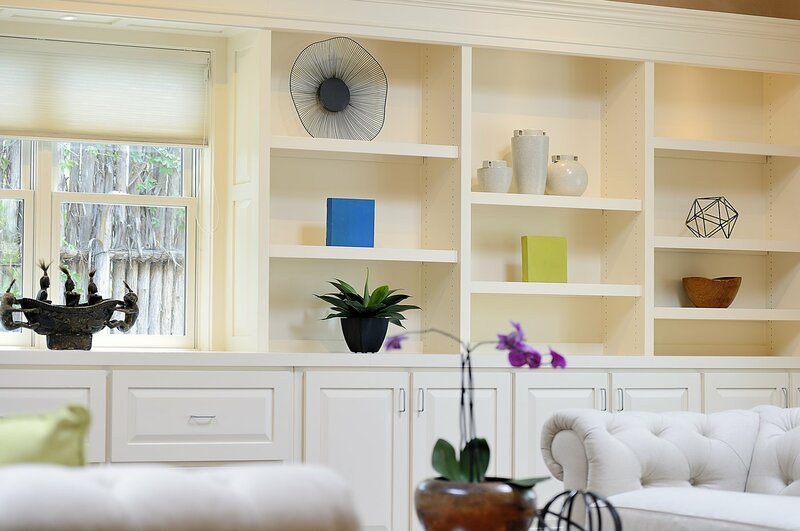 Beautiful white painted millwork, high ceilings and a lovely soft tan interior plaster accentuate the calm feeling throughout. 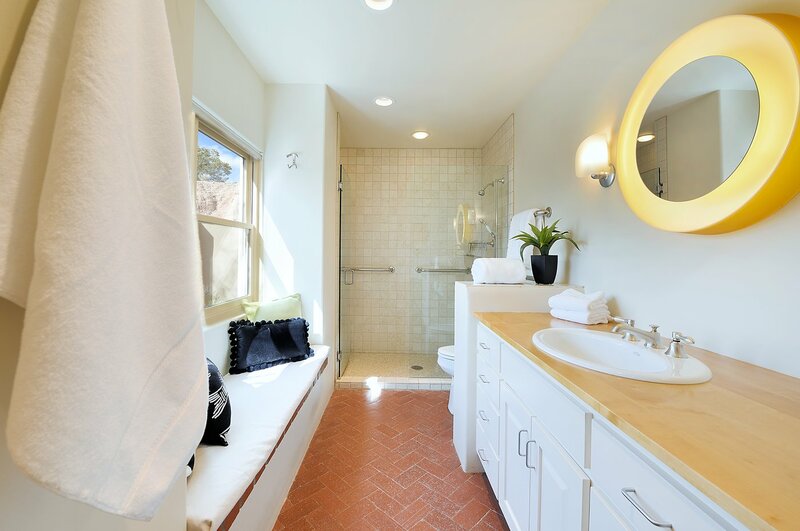 There are three bedroom suites, one of which doubles as a studio space.